Mukhopadhyay talks about Tanzania’s progress in terms of macroeconomic performance, the country’s 2025 vision of becoming a middle-income country and the challenges it entails. TanzaniaInvest (TI): The fifth review of the IMF in Tanzania concluded that the country’s macroeconomic performance remains strong. What are the main findings of the review? 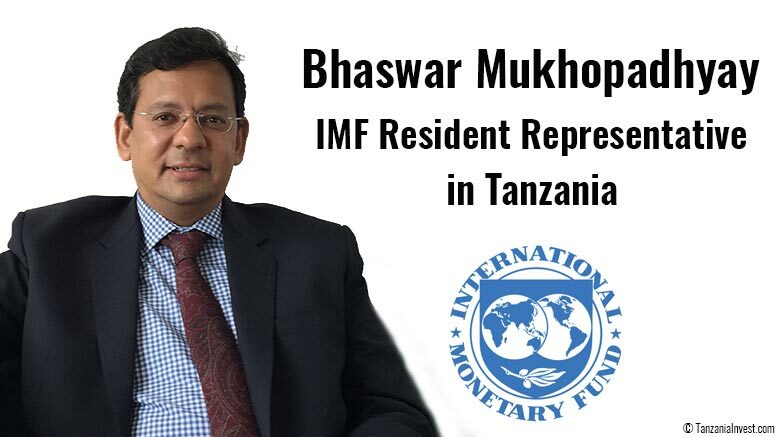 Bhaswar Mukhopadhyay (BM): I should note first that the fifth review of Tanzania’s program with the IMF under the Policy Support Instrument (PSI) has not as yet been concluded. The mission that was here in October held discussions with the authorities and is now preparing the report to be presented to our Board in early January 2017. The program review can only be concluded after the report has been considered by our Board. But to return to the substance of your question, Tanzania has progressed a lot in terms of infrastructure, construction, and business in the last few years. While there are challenges in terms of doing business that apply to different degrees to all low-income countries, when you look at the long-term progress achieved in Tanzania, you realize how far the country has come. One of the key aspects of a conducive business environment is macroeconomic stability and this is also the area where the IMF is most closely involved in interacting with the Government and providing policy advice. And in terms of macroeconomic performance, Tanzania has been remarkably stable for quite some time now. For instance, the PSI through which the IMF supports Tanzania, is a non-disbursing instrument, i.e. there is no financial support associated with it. This is because Tanzania does not need financial assistance for maintaining macroeconomic stability. The country is not facing pressures on its balance of payments and its debt is at safe levels. Inflation is low, and the exchange rate has stabilized after a depreciation in 2015. Overall, these broad indicators of macroeconomic stability show that Tanzania is on the right track. Another area, in which the IMF is directly involved in supporting the Tanzanian authorities, is revenue collection and tax administration. The current Tanzanian administration of President Magufuli aims at eliminating corruption and raising revenue collection, and it is actually making progress. In the 2016 World Bank’s Doing Business Survey, Tanzania ranks 139 out of 189 countries, and “Paying taxes” is mentioned as one of the biggest issues for businesses. So the next step for Tanzania is to advance the progress made in creating a modern tax administration where tax collection is streamlined, and the cost of tax compliance is lowered, a more light-touch tax administration if you like. Once achieved, this will contribute to a more favorable business environment in the country. To help it achieve the desired improvements in tax administration, the IMF is providing a lot of technical assistance to Tanzania, both from headquarters and through our regional technical assistance centre located right here in Dar es Salaam. TI: In July 2016, Tanzania introduced VAT on tourism services and commission-based financial services. Could this impact the competitiveness of the country in terms of doing business? BM: I would like to underline that there is a common misconception about the VAT on tourism. In general, people think that the tourism sector has not been taxed at all before the introduction of the VAT and that is not true. The VAT is a tax on the value added to tourism services. Previously the tourism sector was exempt, which means that the value added in the tourism sector was not taxed, but that all of the inputs used by the tourism sector were being taxed. What is different now is that the additional value added is also being taxed. Moreover, the VAT is a consumption tax, so the tax is paid by the consumers and not by the companies. Finally, the VAT is a tax that provides a strong incentive for businesses along the value chain to require receipts of VAT paid from the suppliers of inputs in order to claim their refunds. In this manner, the VAT is a “self-enforcing” tax. Exemptions create holes in that self-enforcement net and for that reason are costlier than just the value of the exemption itself. Moreover, companies need much more than tax exemptions; it is more important to them to have a predictable business environment with simple regulations. For instance, there are a great number of small taxes, many collected by local Governments, which bring little revenue to the country but are very costly for businesses to comply with. Rationalizing those small taxes in a revenue neutral manner, including for local governments would reduce compliance costs and significantly improve the business environment. This is what the business community has also been calling for and I was encouraged to see that the government intends to move in that direction. So, to summarize, a good business environment goes well beyond tax exemptions, which compromise revenues and an effective tax administration, and I believe that Tanzania has to focus on delivering that to the business community. In this regard, the country is increasing its investment in infrastructure, and there will be a significant impact on the availability of power in the country in the coming years. From my perspective, this matters much more for improving the business environment. After that, the Government of Tanzania can work on improving the dialogue with the private sector for an efficient interaction. TI: Following the fifth review of the PSI for Tanzania, you noted that current spending has been lower than programmed, which had led to a fiscal surplus in Q1 of fiscal year 2016-2017. The IMF commended the Tanzanian authorities’ efforts to improve the efficiency of spending but noted that this should not compromise the delivery of essential services. Can you elaborate on that? BM: We were looking at the first quarter of the fiscal year and normally, during that period, the country runs a deficit of around 1% of its GDP. And this is with capital spending that is usually low in Q1 because budget procurement takes time. This year Tanzania’s revenue collection is up significantly relative to previous years. I should note that this represents a good beginning and bodes well for realizing its still considerable untapped revenue potential in the coming years. Apart from that, Tanzania has made significant efforts to curb current spending, which is below what we have seen in past years, while capital spending, for the reasons I just mentioned, has not picked up yet. As a result, the Tanzanian Government actually ran a fiscal surplus of about 0.3% of GDP in Q1. So, we commend Tanzania’s efforts in the area of fiscal control, but we want to make sure that capital spending will pick up to avoid problems related to low aggregate demand in the economy as this could be a drag on growth in case of significant fiscal consolidation. Overall, it is good that Tanzania is making an effort to cut wasteful expenditure as long as it is not affecting the delivery of essential services. TI: According to the 2025 Vision, Tanzania aims to become a middle-income country by that year, for which its GDP has to grow at 10% per annum. Based on the IMF analysis of Tanzania’s macroeconomics, do you deem this feasible? BM: Annual GDP growth of 10% is an ambitious target but even if it is not achieved, sustaining a 6–8% growth per year would also be very impressive. Tanzania has sustained high growth rates, in the range of about 7%, for a long period of time and it is now planning to further improve its infrastructure—this is a priority in the country’s 2016/17 budget and the FYDP II. If the country manages to realize what has been planned and improve the business environment, I don’t see why growth rates of 7% and higher would not be feasible. TI: What role do you see Tanzania playing in the future of Africa? BM: Within Africa and within the East African Community (EAC), Kenya, Rwanda, and Tanzania, have made significant progress. They are on the way to building more diversified economies, with manufacturing sectors beginning to develop. So many African countries are either dependent on agriculture or on minerals and mining, and I think that economic diversification is crucial for the future of Africa. The progress that Tanzania makes in terms of economic diversification in the coming years will serve as an example for other countries in the region. Given Tanzania’s strategic location that facilitates the transport of goods, I hope to see Tanzanian industry become part of global value chains, which will help it move from a low to a middle-income country.